The Waffle Mod is a funky little mod created by the developer BBBlockyGamer. 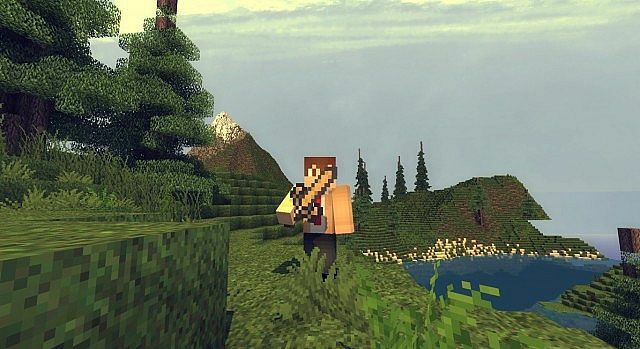 This mod is available for the latest patch of Minecraft 1.7.4 and can also be installed for both client and server. This mod doesn’t add the most realistic items into the game but it simply does it just for fun. It opts for more quality than quantity, so put this quirky mod in your mod pack today. There is no real way to use the Waffle Mod you first of all need to download it with Minecraft Forge and then you can load up your latest save game. When loading all of the mods features should be automatically enabled. Waffle Block: Sugar, Bowl and milk in a crafting bench. Waffle (Food): Waffle Block and Knife in crafting table. Waffle gives full health. Waffle Sword: Two Waffles (Food) and a stick in a normal sword layout. Sword deals 8 Damage (1 more than Diamond). 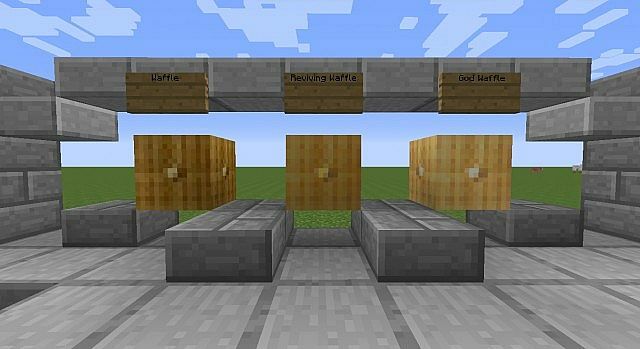 The Mod also contains two other blocks the Reviving Waffle and the God Waffle. Available for the latest patch of Minecraft 1.7.4. Next, download the Waffle Mod and drag and drop it into the .minecraft/mods folder of your Minecraft directory. There are currently no public changelogs for the Waffle Mod.